So I finally decided to drag myself to see Wolverine. I figured another installment in the Marvel Universe deserves me seeing it and providing a review. Hugh Jackman is back as our adamantium filled friend Wolverine. 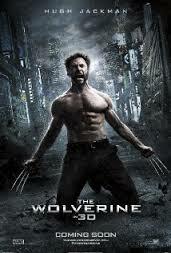 Wolverine is known as one of the favorite Marvel characters and appears in the most comics. My thoughts: Okay, I wish I waited for this movie to come out on Netflix. I was not happy from the beginning to the end of this movie. It was Wolverine meets Ninjas. Or maybe you can say Wolverine vs Ninjas. I think the movie Ninjas vs Zombies might have been better to be honest. So I understand everyone loves the Wolverine character but c’mon does he need this many movies. I would have preferred a freaking Shadow Cat movie to this. Personally I am hoping for a Storm movie but I would also take Gambit as those are two of my favorite characters. The concept of Wolverine in the whole story line just did not make sense to me. Frankly I think I would have enjoyed the movie if they took Wolverine out of it and made it into a ninja movie of some sort. They did have a preview of a movie with Ronin warriors so maybe they just took a random Kung-Fu story line and threw Wolverine into it. (If this happened in the comic I wouldn't know as I do not care for Wolverine). 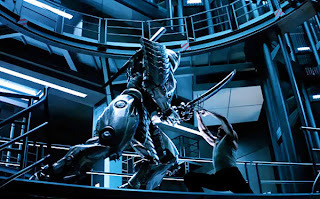 The potential for epic fight sequences were there and honestly the sidekick, Yukio, played by Rila Fukushima, had better fight sequences than Wolverine did. I swear if I saw Jean Grey, Famke Janssen, pop up one more time in his weird mind trances I was going to scream. Overall my recommendation to anyone who is thinking about seeing this movie is to just save your money and wait to stream it later. "So I understand everyone loves the Wolverine character but c’mon does he need this many movies. I would have preferred a freaking Shadow Cat movie to this. Personally I am hoping for a Storm movie"
We get it - you are not into Wolverine, but do not decry Marvel for putting movies out there that fans want, instead of what a small minority wish to see. I am a Marvel fan and a huge X-men fan. I am not a fan of Wolverine but if a Marvel movie comes out, I have to see it. The movie did not flow well and felt as if they threw in the mutants with out thought. The movie had potential but fell flat. I am looking forward to seeing what else Marvel produces. S/N - I am not a fan of Cyclops but if they made a movie for him, I would go and support. You can't blame Marvel for this. The X-Men are entirely 20th Century Fox's property in film. Marvel Studios has nothing to do with this drek. Marvel didn't put this out. Fox did. And they did it to secure the film rights to Wolverine for another seven years. Story doesn't matter as much as merchandising rights. You are correct. I should not hold Marvel accountable. It's sad when the story does not matter. Movie had some half decent moments. Train comes to mind. The end however was just so awful it made me forget every and any positive points of the movie at all. That is true, the train sequence was fun!